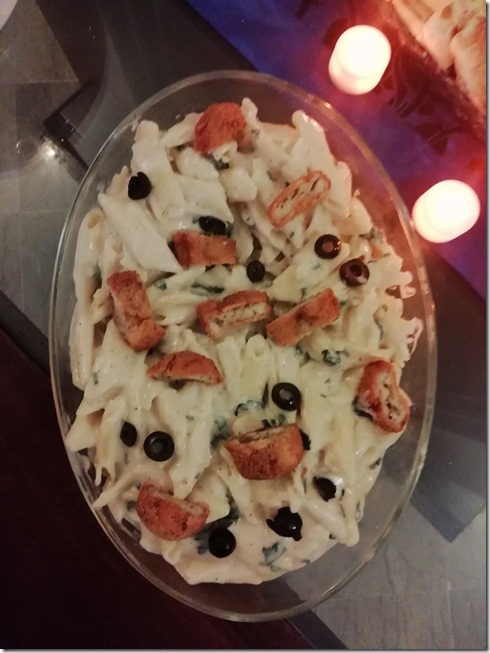 My kids don’t like to eat spinach but they are always ready to eat white sauce spinach pasta. 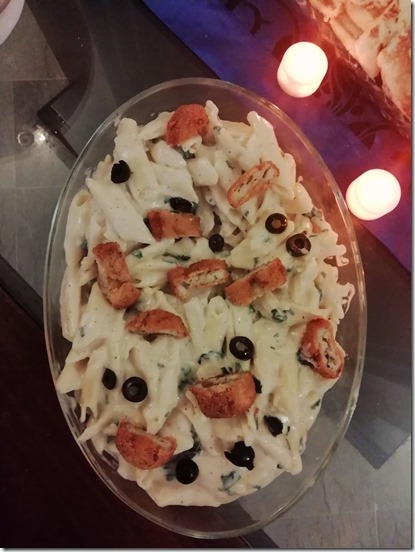 Spinach and white creamy sauce is a great combination for taste buds. I don’t add chicken in this pasta but sometimes I add some fried chicken chunks on top. You can also add cheese on top. While the pasta cooks, make the sauce. Melt the butter in a large pot. Add the flour and cook for one minute. Now add milk and mix it continually to avoid any lumps. Add cheese, salt, pepper, garlic powder, and soya sauce. Cook over medium heat, stirring often. You can add olives and fried chicken chunks on top if you want. it’s totally optional.